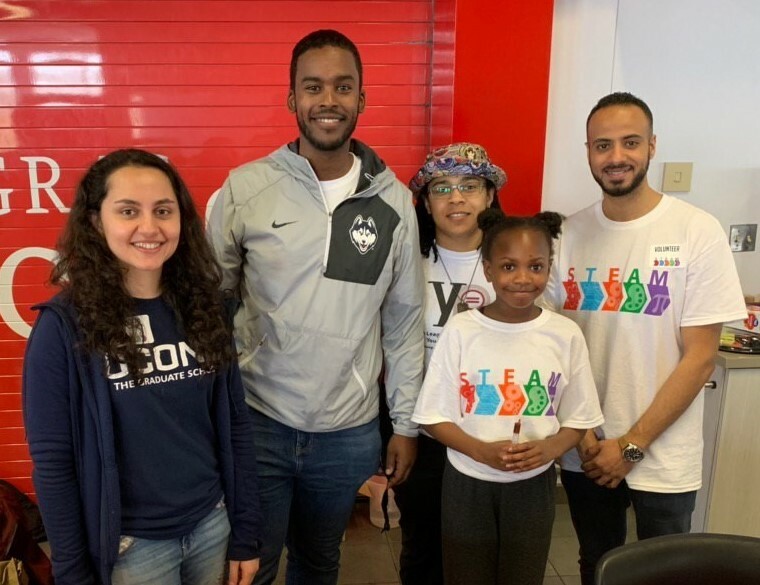 A few members of the labs at the CT Convergence Institute for Translation in Regenerative Engineering helped to motivate young students towards careers in the sciences by volunteering at a S.T.E.A.M. 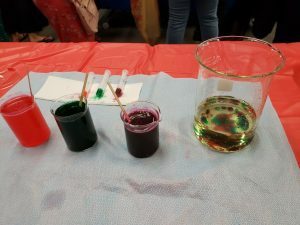 Expo hosted by the Urban League of Greater Hartford Young Professionals at the University of Hartford on April 20th. The Graduate Students worked with youngsters to create hands on activities that would inspire curiosity about science. Pictured from left to right are: Leila Daneshmandi, Guleid Awale, Aundrya Montgomery, Marley Pitter, and Mohammed Barajaa. 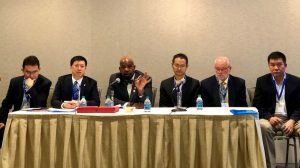 Dr. Cato Laurencin has just been elected as a member of the renowned American Academy of Arts and Sciences. 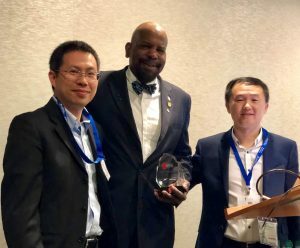 Dr. Laurencin, who is being honored for his work as a pioneer in the field of regenerative engineering, is the first UConn Health faculty member to be elected. 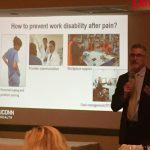 Dr. Laurencin is a surgeon in orthopaedic surgery, as well as a professor of chemical and biomolecular engineering, professor of materials science and engineering, and professor of biomedical engineering. His innovative research regarding the growth and regeneration of bone, ligaments and other musculoskeletal tissues has spanned across 25 years. “I am very honored and humbled to be elected to the American Academy of Arts and Sciences. I thank my mentors especially Professor Robert Langer, and my students who continually inspire me,” he said. 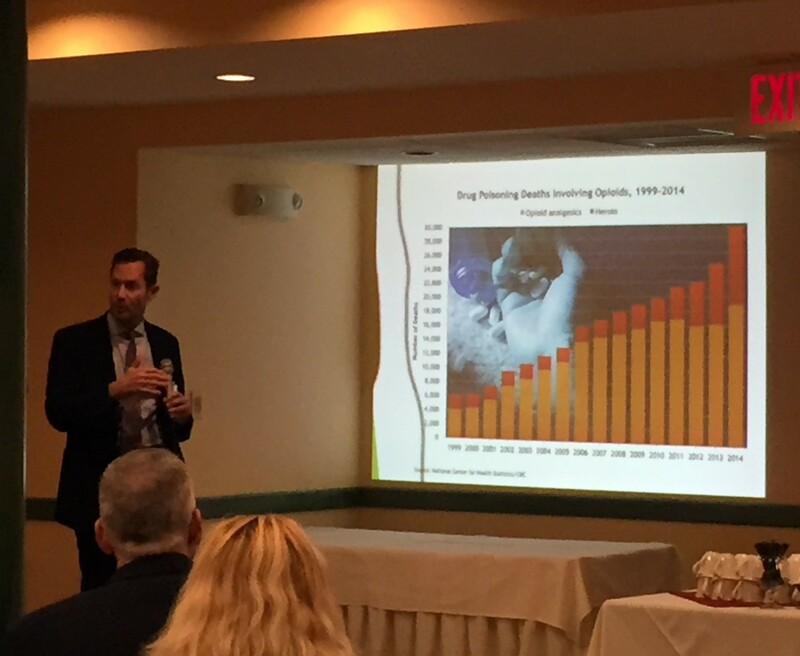 Read the full article about Dr. Laurencin’s election to the AAAS in UConn Today. 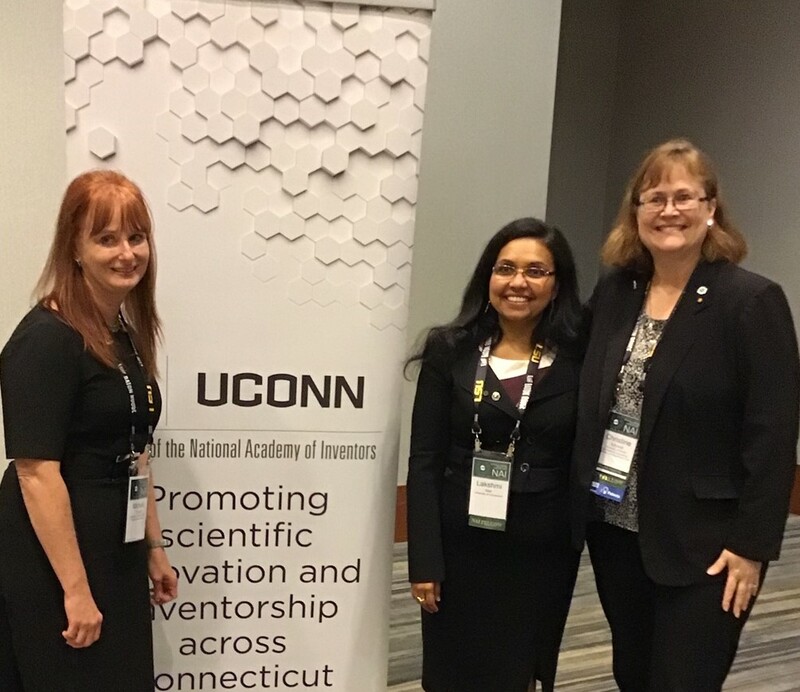 Associate Director of the CT Convergence Institute, Dr. Lakshmi Nair, recently represented UConn at the National Academy of Inventors Annual Meeting. 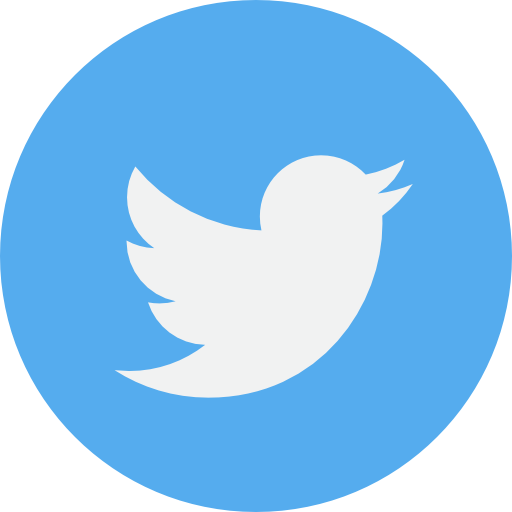 The Academy aims to recognize, honor and cultivate academic innovation and entrepreneurship. The theme for this year’s Annual Meeting was “Connecting the Innovation Community” and the conference promoted networking between innovative thought leaders to assist in propelling and transforming the innovation ecosystem. 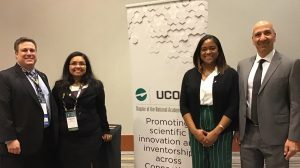 Dr. Lakshmi Nair is pictured here with Michele Tyrpak, JD, from the University of South Florida and Dr. Christine Schmidt, from the University of Florida. 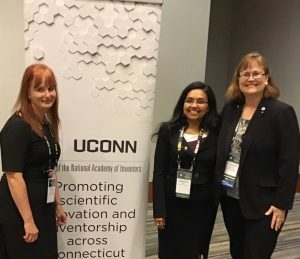 Dr. Lakshmi Nair is pictured here with Paul Rosenthal, Deputy Chief Communications Officer of the USPTO, Dr. Bahram Javidi, Professor of Electrical and Computer Engineering at UConn, and a representative from the National Academy of Inventors. Leila Daneshmandi, a Graduate Student member of the CT Convergence Institute, is pictured here with her peer from Biomedical Engineering, Armin Tahmasbi Rad. Leila and Armin have partnered together to use the concepts of tissue engineering to help cancer patients. The duo has developed an innovative “tumor-on-a-chip system that takes a patient’s tumor cells and grows them outside of the body to test different cancer treatments”. 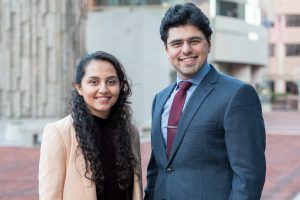 The two students are putting their entrepreneurial skills to work in order to launch their innovative system and hopefully begin clinical trials soon. For more detail on their new technology, read the entire UConn Today article. While visiting the Society for Biomaterials Annual meeting, Dr. Cato Laurencin was honored by the Chinese Association of Biomaterials with their Global Biomaterials Leadership Award. Kenneth Ogueri is a member of the CT Convergence Institute at UCHC and a Graduate Student in Materials Science and Engineering at UConn. 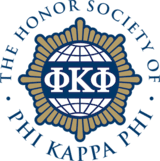 He was recently invited to join Phi Kappa Phi, the prestigious honor society which is a global network of scholars from all academic disciplines. 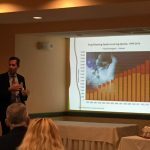 An Induction Ceremony was held on Monday, April 15th . 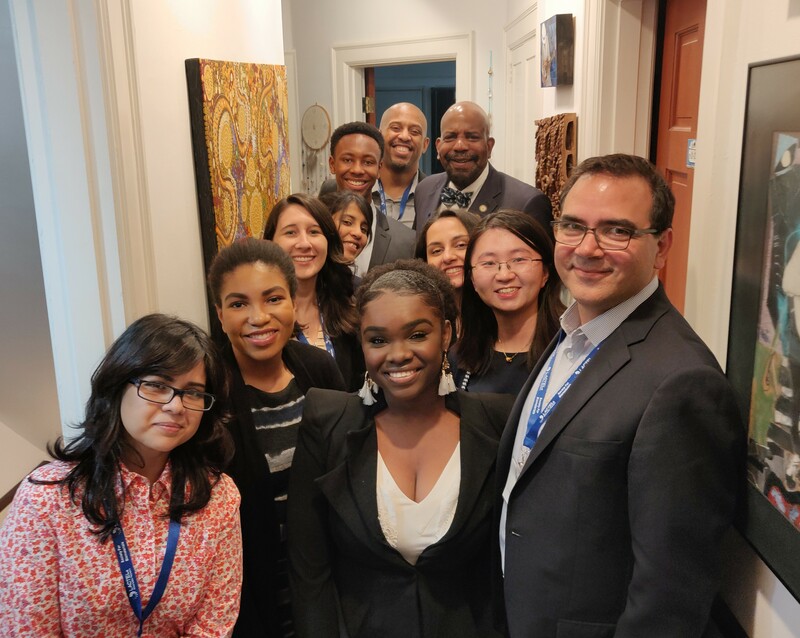 A group of Laurencin Fellows, and Lab Members of Dr. Laurencin’s CT Convergence Institute at UConn Health Center, gather for a photo at the 2019 Society for Biomaterials Meeting in Seattle. 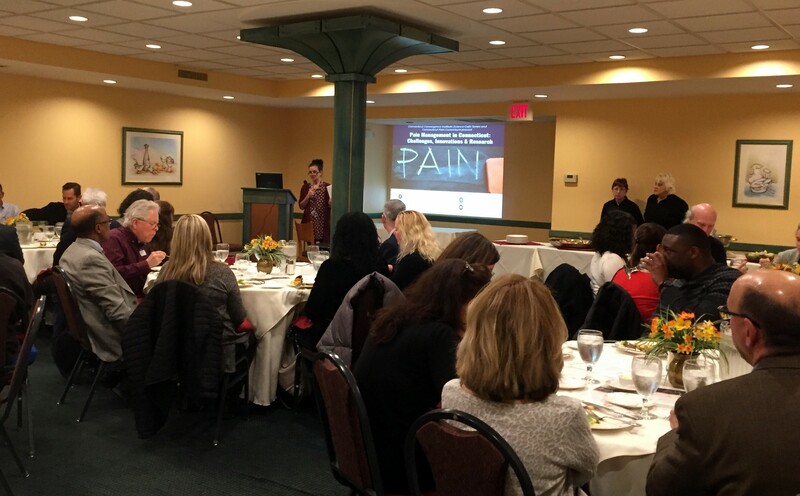 The Convergence Institute recently sponsored a Science Cafe on the topic of Pain Management in Connecticut: Challenges, Innovations & Research on Friday, March 22. 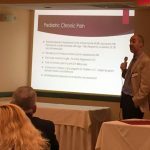 With this topic being at the forefront of the news lately, the event was well attended and included a lot of interaction and engagement from the audience, which consisted of pain sufferers, health care providers, social workers, and more. 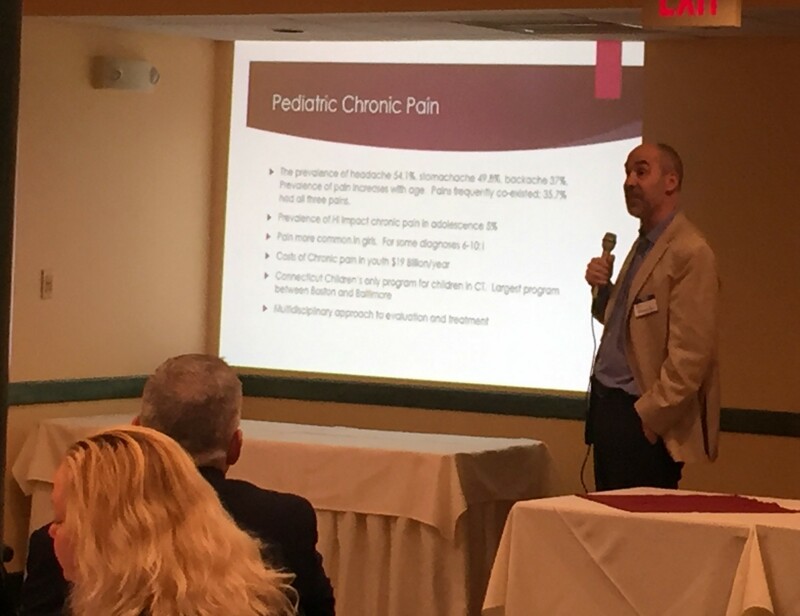 The Institute welcomed three guest speakers at the event: Dr. Jonathan Kost from Hartford Hospital, Dr. William Shaw from UConn Health, and Dr. William Zempsky from CT Children’s Medical Center. 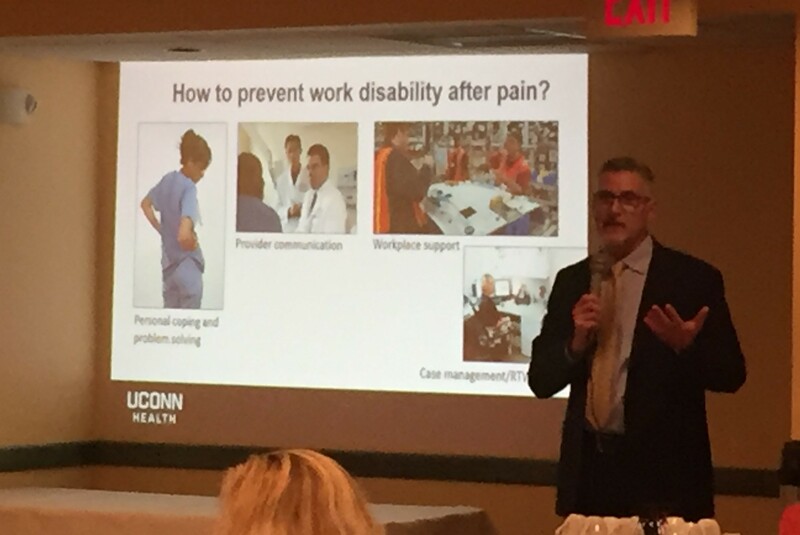 Dr. Reinhard Laubenbacher, Director of the Connecticut Pain Consortium at UConn Health, also spoke about how the Consortium is working with these and other pain experts around the state to bring together data, research, education and pain management in Connecticut. 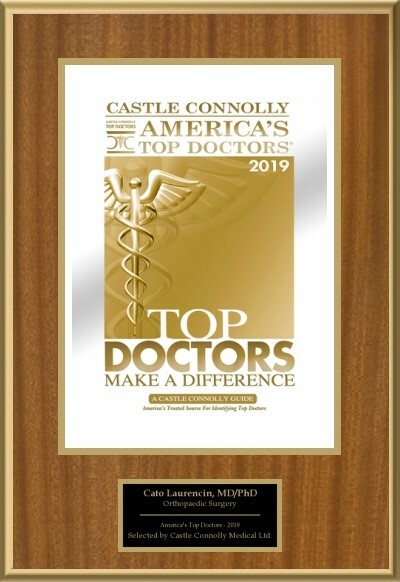 Congratulations to Dr. Cato Laurencin for being named to the list of America’s Top Doctors once again in 2019! 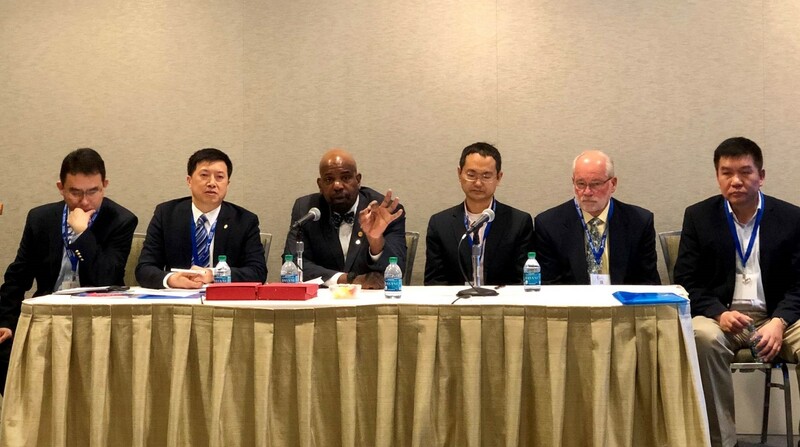 Dr. Cato Laurencin recently spoke at the American Institute for Medical and Biological Engineering (AIMBE) annual event, which is a conference that combines scientific lectures with public policy discussion. His talk highlighted the importance of black representation in the fields of Medicine, Engineering and Science. Dr. Laurencin has spent a large portion of his career in addressing issues on diversity. 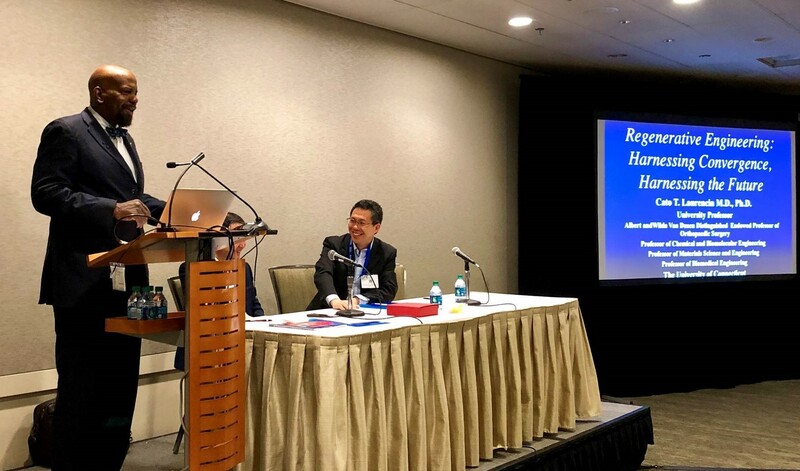 He served as Rapporteur for the historic Workshop Proceedings entitled “An American Crisis: The Growing Absence of Black Men in Medicine and Science” and is founding Editor-in-Chief of The Journal of Racial and Ethnic Health Disparities. 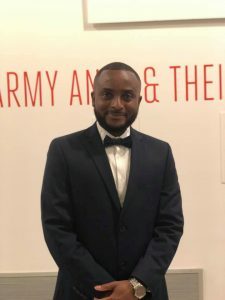 Dr. Laurencin is also dedicated to mentoring underrepresented students in the fields of Medicine, Engineering and Science as well. 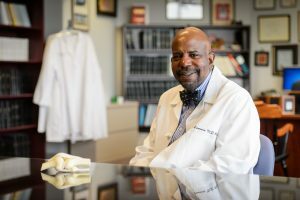 Learn more about Dr. Cato Laurencin, and AIMBE.